Shortly before the 2013 International CES, Shawn DuBravac, chief economist for the CEA, said he expected more than 40 new PC form factors to be released during the year. Not just new models – new form factors with new ideas on how to interact with a computer. 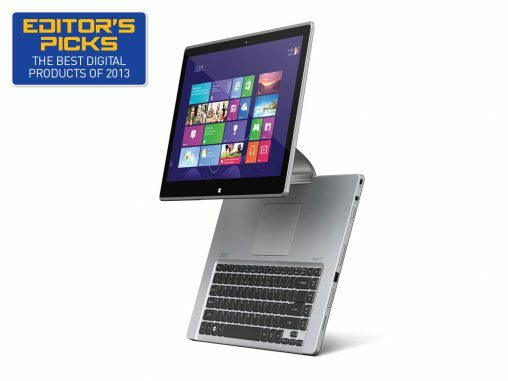 This self-styled 4-in-1 PC from Acer can be used as a standard notebook, a tablet, a display and in ‘Ezel Mode’, meaning the screen floats above the keyboard. The Full HD screen and Dolby speakers mean playing back content is immersive in either a work or relaxed environment. Best Feature: The trackpad is placed behind the keyboard — great once you get used to it.